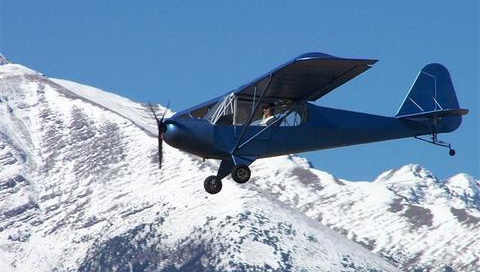 A tip of the virtual hat to Max Rentz, who alerted the Piper Cub Builders List to this darling little airplane. He built it a tiny (25 horsepower, one cylinder) F33 Hirth engine, which qualified as an Ultralight under FAR 103. It's now sold with a more robust 447 or 503 Rotax engine, qualifying under the Sport Pilot program. See the Tiger Cub website for more. There's also a Tiger Cub builders' email list on Yahoo Groups, founded by that same Max Rentz.